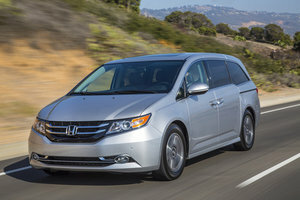 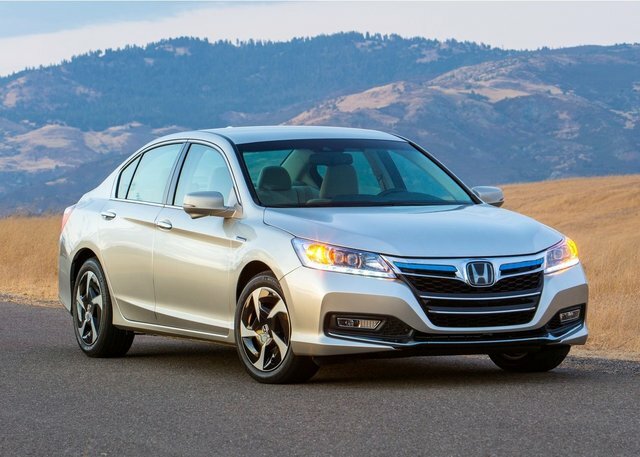 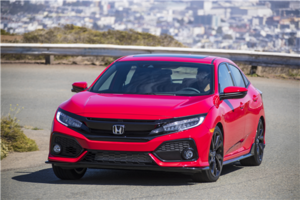 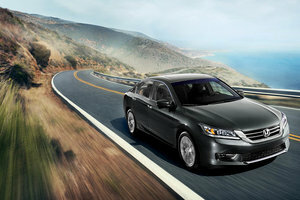 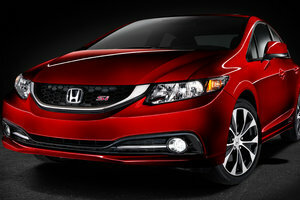 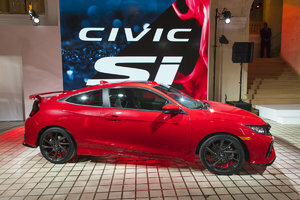 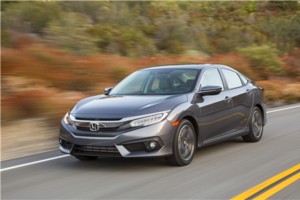 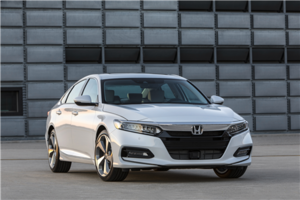 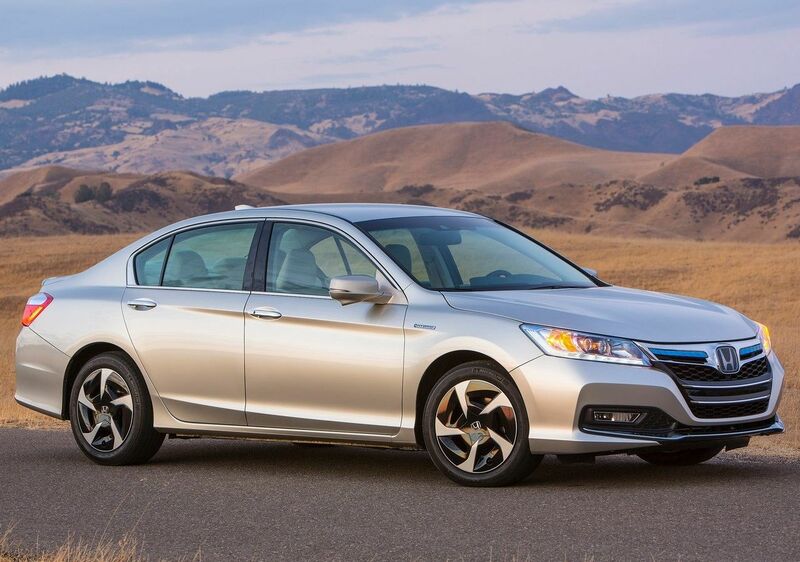 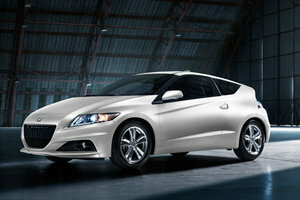 For the 2014 model year, Honda has introduced two new models to its Accord lineup. 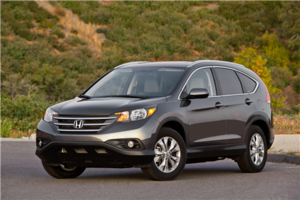 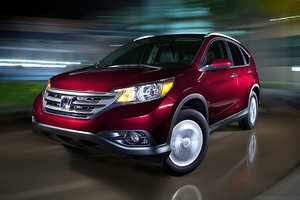 The 2014 Honda Accord Hybrid and the Plug-in Hybrid (PHEV) are interesting and fuel-efficient vehicles to consider. 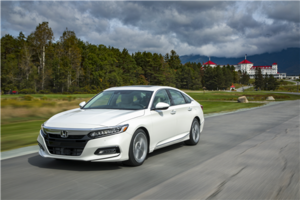 It’s even more intriguing now, as the Accord Hybrid has garnered the 2014 Canadian Green Car of the Year award. 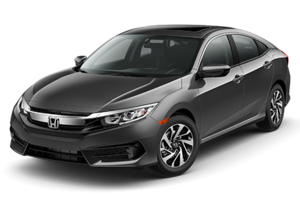 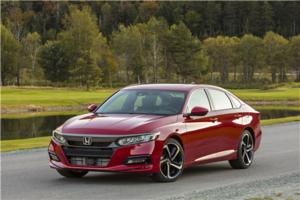 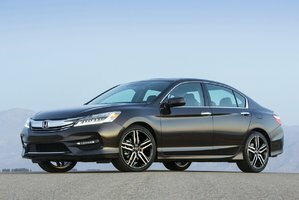 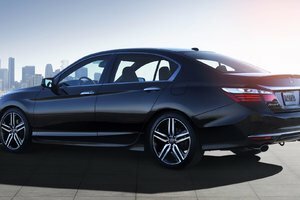 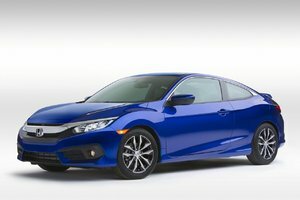 With a starting MSRP of $29,645, the Hybrid version is said to provide consumers with the “full Accord experience with a fraction of the fuel.” This is because the Accord Hybrid is equipped with a 2.0-litre 4-cylinder engine partnered with a 124-kilowatt electric motor. 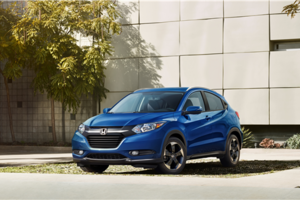 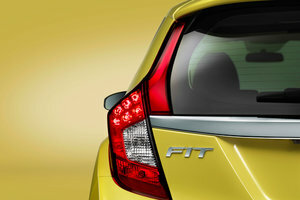 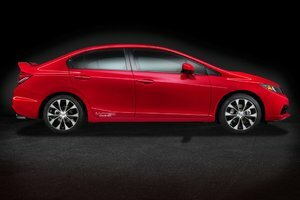 The engine is also mated to an Electronic-Continuously Variable Transmission (E-CVT). 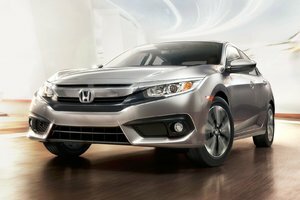 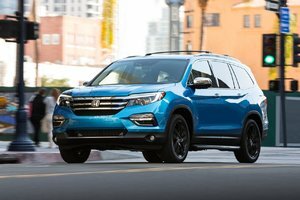 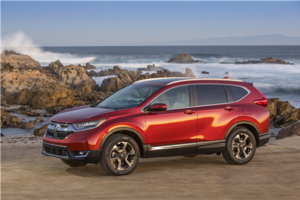 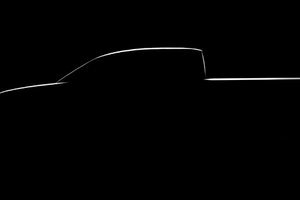 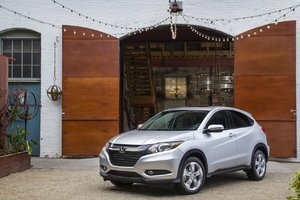 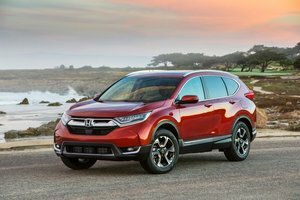 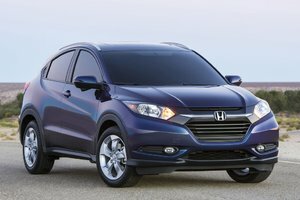 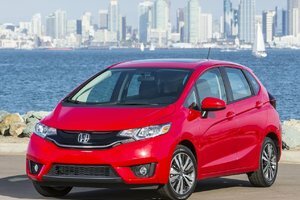 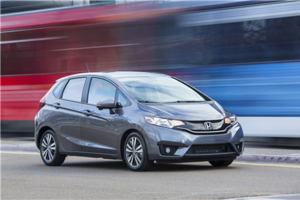 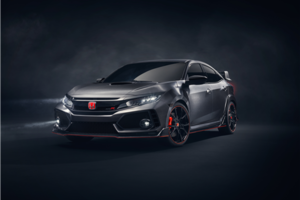 Generating a total 196-horsepower from both the gasoline-powered engine and the electric motor, drivers can also expect 122 lb-ft of torque. 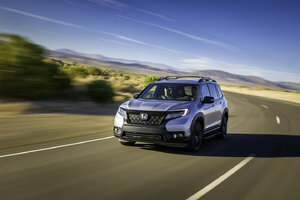 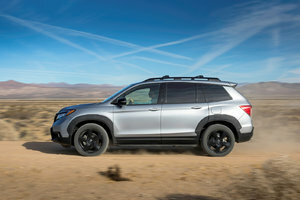 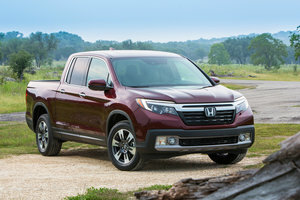 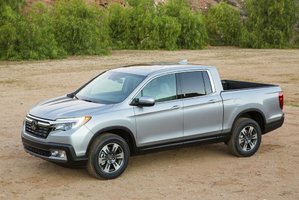 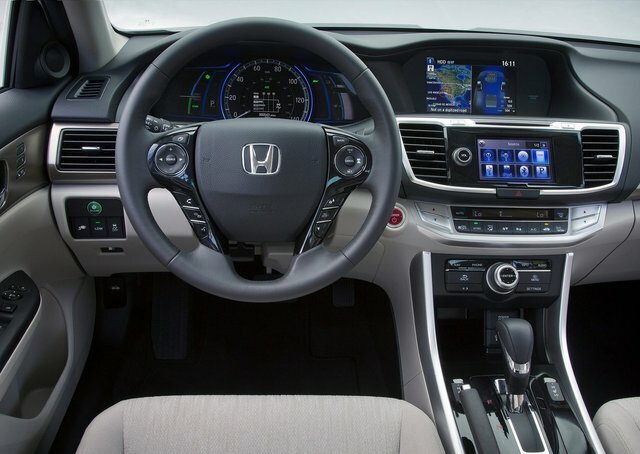 In addition, features such as an Eco Assist system, and a three-mode drive system that includes an EV and Hybrid mode (along with Engine), help to keep the vehicle fuel-efficient. 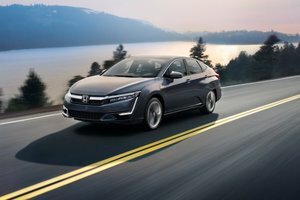 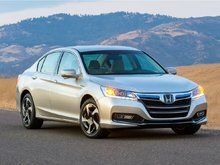 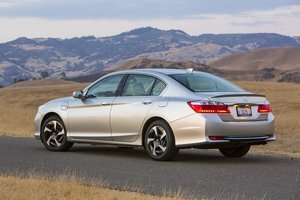 With only regular fuel recommended for the 2014 Honda Accord Hybrid, consumption ratings are stated to be 3.7 litres per 100 kilometres when in the city, and 4.0 L/100km on the highway. 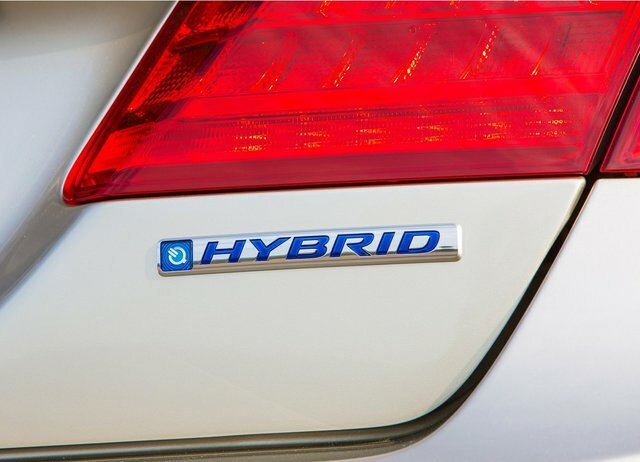 The 2014 Accord PHEV sedan is another hybrid option for consumers. 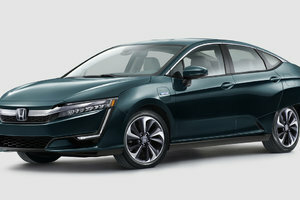 A new Earth Dreams 2.0-litre 4-cylinder engine that is also partnered to a 124 kW electric motor powers the plug-in variant, much like the traditional Accord Hybrid model. 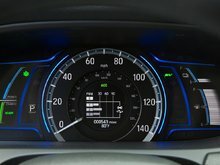 The PHEV sedan is also equipped with a 6.7 kilowatt-hour lithium-ion battery. 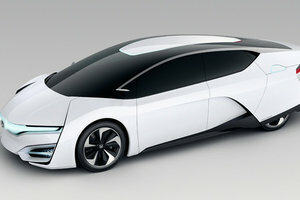 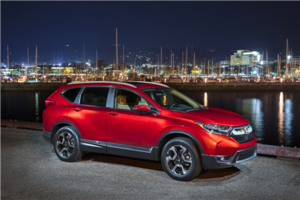 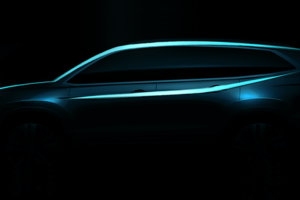 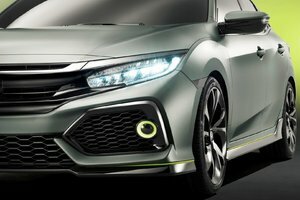 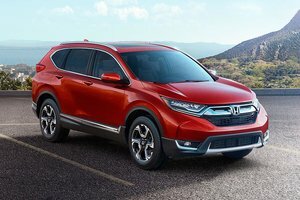 The advantage of the PHEV version, however, is that it can it drive for about 20 kilometers using only the electric engine, and thus not requiring any fuel. 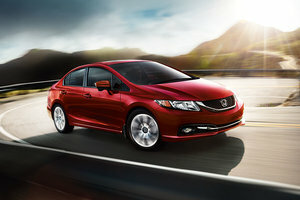 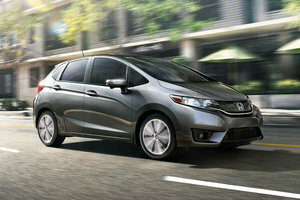 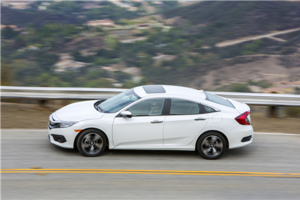 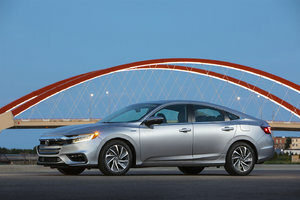 The 2014 Accord Hybrid won the Green Car of the Year award over five other finalists, which include the Ford C-MAX Energi, Nissan LEAF, the 2.0-litre Mazda3, Mazda5 and the Volkswagen Jetta Turbo Hybrid. 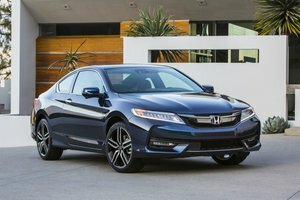 The manufacturer’s winning Accord Hybrid comes equipped with a list of interesting features to consider. 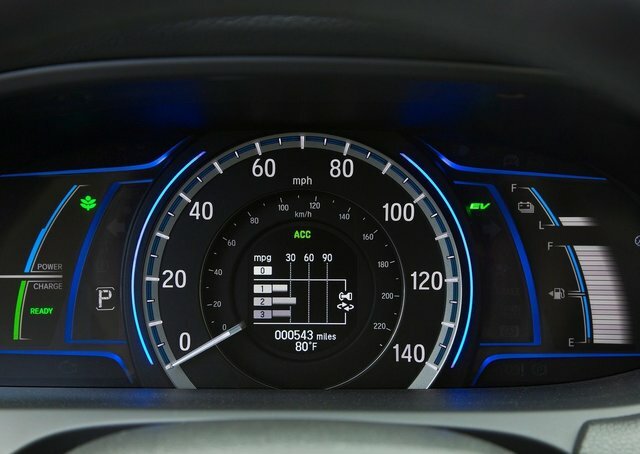 For example, the LaneWatch blind spot display will take footage from a small camera placed under the side mirror, and display it on the multimedia screen inside the vehicle. 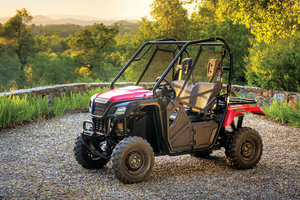 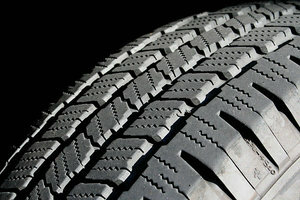 It provides the driver with an added 60 degrees of visibility. 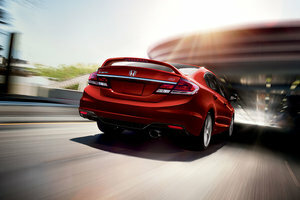 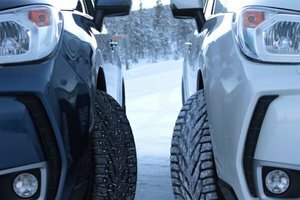 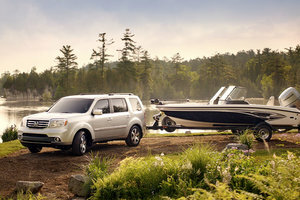 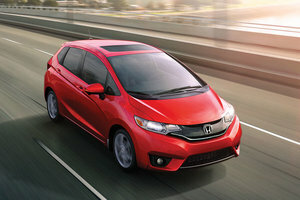 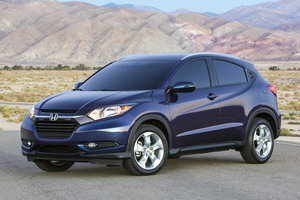 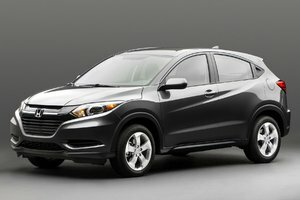 Other features to consider are the Forward Collision Warning system, Lane Departure Warning and the navigation system. 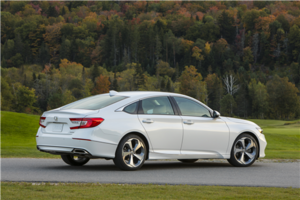 The 2014 Accord Hybrid received the TOP SAFETY PICK+ rating from the Insurance Institute for Highway Safety. 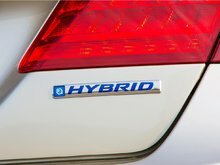 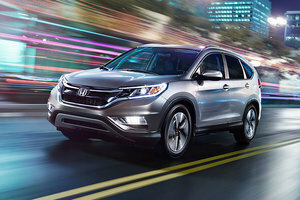 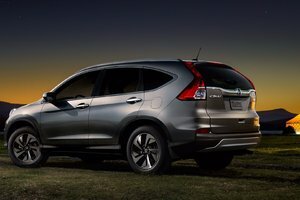 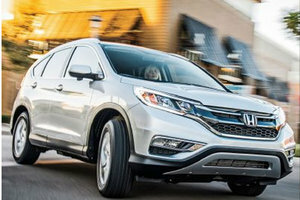 Childproof rear door locks, a 4-wheel Anti-lock Braking System (ABS), Brake Assist and stability and traction control are included with the Hybrid model. 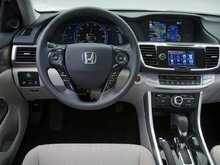 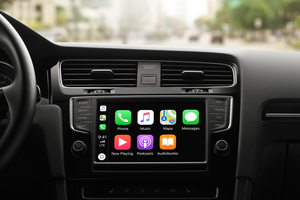 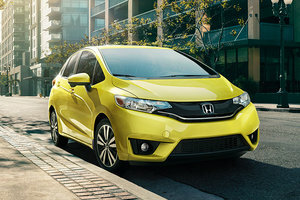 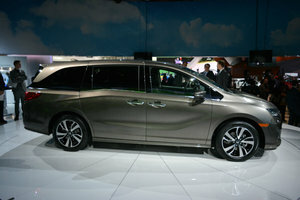 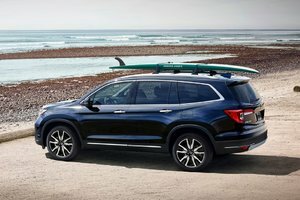 Features such as steering wheel-mounted cruise control, USB device connector and HondaLink are also included, as are heated front seats. 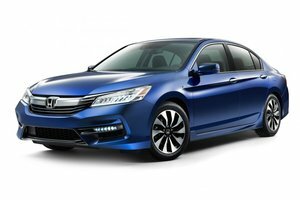 The 2014 Honda Accord Hybrid is the perfect car for buyers with an eco-friendly mindset, and who are searching for a nice-looking, comfortable and fuel-efficient sedan. 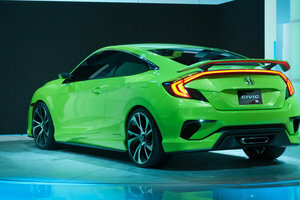 The Green Car of the Year award is an added bonus. 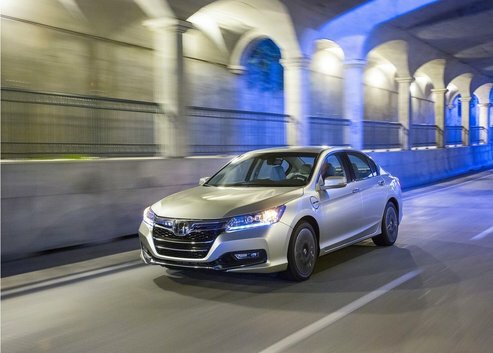 Book a test drive with your Barhurst Honda dealer today, and drive the all-new 2014 Honda Accord Hybrid sedan!